For the first time, Moto G prices are slashed in India after its launch earlier this year. On Moto G 8 GB and Moto G 16 GB variant Motorola has slashed price for about INR 2000. earlier, Moto G 8 and 16 GB were available for INR 12,499 and INR 13, 999 from Flipkart which is official retailer of the Motorola phones in India. Motorola has slashed the price to tackle with the Xiaomi Mi3 sales. Earlier last week, Xiaomi went on sale in India via Flipkart and as per the sources it went out of sale in just 5 seconds. Xiaomi priced the Mi3 for just INR 13,999 watching the tremendous response to Mi3 caused the drop in the Moto G sales . So in order to improve the situation Motorola has slashed the prices. 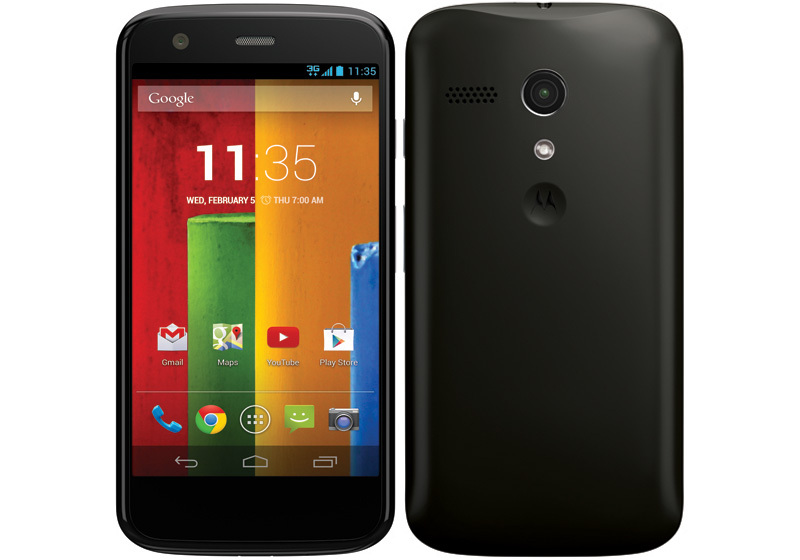 Additionally, Moto G sports a 4.5-inch HD Display with a 1,280×720-pixel resolution and 329ppi. Powering its insides is a quad-core, 1.2GHz Snapdragon 400 processor, Adreno 305 graphics, and 1GB of RAM.